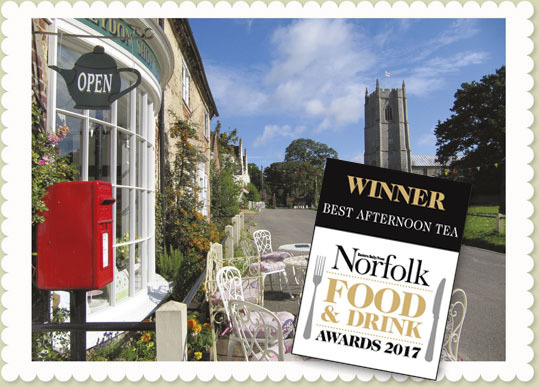 WELCOME to the idylic village of Heydon where Karl & Cindy invite you to relax in their award-winning traditional tea shop and enjoy a delicious cream tea or sample one or more of their homemade cakes and scones. Or perhaps you would like something a little more filling, a home-made soup or a light lunch from the menu. We are open all year round but please see our Opening Times for seasonal changes. We will be open up to and including Friday 21st December and will reopen on Wednesday 2nd January 2019.